Don’t make yourself a stranger. We’re gearing up for CES Asia and CES Las Vegas at Living in Digital Times, but we’re not twiddling our thumbs until then. Send news and thoughts to info@livingindigitaltimes.com, and we’ll work you into an upcoming newsletter. Feel free to forward this to friends and colleagues, who can sign up here to receive future editions. We were recently in Bologna at Cosmoprof, the world’s largest beauty exhibition. Nestled between the facial masks and the anti-aging creams were some amazing new technologies designed to make shopping for beauty products more about an experiential service and less about buying a product. Here are some observations in an article I recently wrote for Dealerscope. In May,1983, Apple announced a program called Kids Can't Wait (KCW). They gave an Apple IIe computer to approximately 9000 elementary and secondary schools in California. In doing so, they raised a generation of Apple kids hooked on using Apple, just like Unix had done with its prevalence on college campuses before that. Contrast giving away “magic” in the 80s with today’s task of matching the price point of Chromebooks and some of the lower-priced Windows systems in the educational tablet market. The slightly better resolution and graphics of the iPad, and even the new “magic pencil” for taking notes is not as critical to teachers as having the proper curriculum and teaching tools. Today, more than half the nation’s primary and secondary school students -- 30 million of them, use Chromebooks and tools like Google Desktop, according to a NYT article that looked at how Google managed a school takeover. Apple is going to have to make it’s classroom curricula, school management tools and its flailing iTunes store a focus as part of the initiative. Digital detoxing is in vogue again. We got a good chuckle out of this release from the Marriott Renaissance Pittsburgh Digital Detox, offering a chance for a disconnected holiday. Gosh it’s easy to make Pittsburgh jokes right now. Elsewhere, take note that National Screen Free Week (who knew?) is coming up (April 30-May 6). American children ages 0 to 8 use screen media for an average of 2 hours and 15 minutes each day, with about 35% of that screen time spent with a mobile device. A list of endorsers of a screen-free week include the American Academy of Pediatrics Association, a ton of parenting groups and numerous school associations. While we appreciate the sentiment, a more likely scenario would have been a 24-hour test program. I recently spent a fabulous evening taking the temperature of the VC community, which may be poised to get involved in ICOs. The temperature was sizzling. In a nutshell they’re the grownups in the room ready to dive in and give the burgeoning ICO market some shape. They’re also salivating over the liquidity of the world of ICOs. 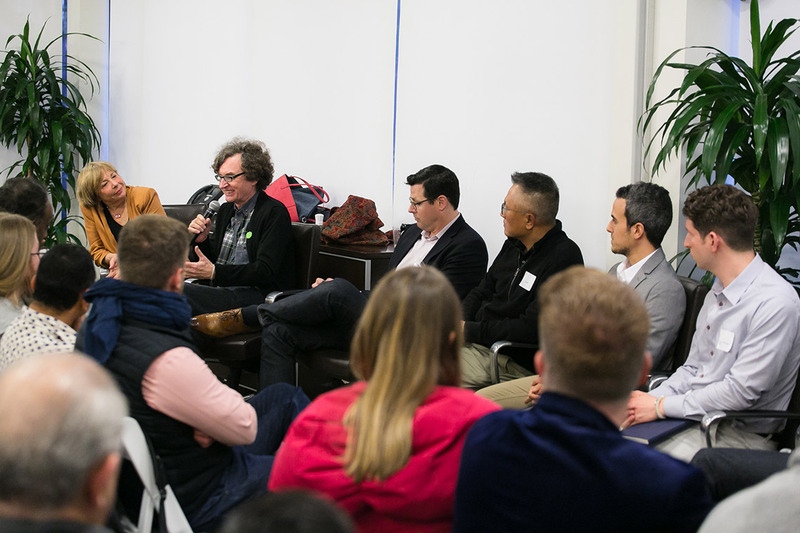 Here’s more from a session held in Palo Alto, part of Silicon Valley TV. Thanks, @PemoTheodore for the invite. What Did you Think Facebook Was Doing with Your Information? Families are fleeing Facebook. They understand the tradeoffs. For the past weeks, we’ve heard from families who say that they will miss hearing from relatives and friends. But, they are suddenly hyper-aware that having an online community based on the selling of their personal information leaves them prone to intrusion from advertisers (some legit,others not), fake news, political manipulation and reputation defamation. My question is, what did they think was happening at Facebook, Google and Amazon all this time? Ultimately there will be entirely new social media systems. Some think that you’ll pay a monthly fee like you do for phone service or cable TV. Others think there will be a simplified system of opt ins. I believe that we’re not imagining far enough. Emerging technologies like blockchain will allow us to willingly decide who can see what, and we’ll be financially compensated as a contributor when we offer information on social media. Your information will be your currency, to spend or not. But until then, we need to accept some of the blame. What ails Facebook, ails us. Did anyone really think one of the richest companies on earth was a charitable organization? Didn’t everyone understand that we are the product the Facebook sells to advertisers? The sense of complacency about what can be done with information, a rush to get logged in to the latest from friends, and a general ignorance about how the Internet works makes us all culpable. Social media isn’t going away, and it is still capable of effecting great good, but only if we put the time in to understand what makes us susceptible to foul play. Some of the best advice I’ve seen comes from a long time cybersecurity expert and heavy Facebook user, Neil Rubenking.